The second REMYL CD, titled "DISRUPTOR" was released by the German label "Mental Ulcer Forges" in october 1996. 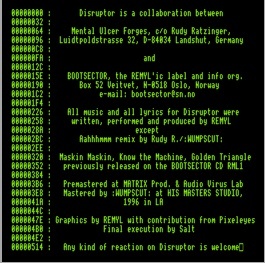 There was aslo released a limited metal-box containing the "DISRUPTOR" CD, the first REMYL CD, T-shirt, poster, "A Live Computer Performance" video (VHS/PAL) and an info-floppy. 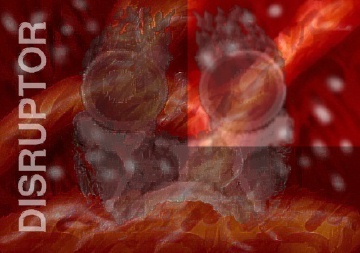 * "Golden Triangle (v 5.00)"
- DISRUPTOR audiosamples and lyrics.